There's not many shows that have left me emotionally speechless but I was left in complete awe of the whole production last night. 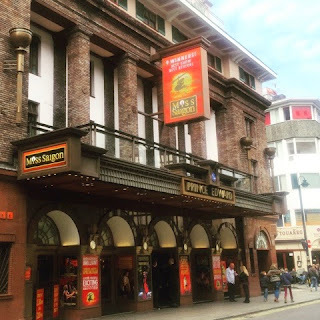 This was my first visit to both the Prince Edward Theatre and also the show. First impression of the theatre was stunning from the spacious areas in the bar and balcony to the auditorium where not only were all the staff lovely but the leg room got top marks as well. I admit I didn't know much of the story I always try if it's first time I've been not to read too much on the show. From the start of the show I was completely taken in with the production. From the soundtrack which the whole cast smashed it out the park with, to the staging of the show which I have to say was hands down the best one visually I've seen in a long time. By the interval the emotions were in overdrive we both loved it. Not knowing the story there was a lot to take on but by the end I was left speechless. I'd happily see this show again if you haven't seen it I completely recommend you book. 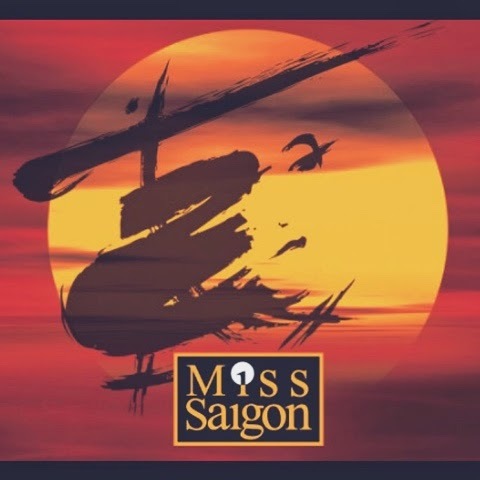 This has been one of my must see shows since it came back in to the west end and we managed to get some tickets and was really looking forward to seeing this show! I love the prince Edward theatre it's very grand and suits the show!! We were sat in the royal circle row O seat 27&28 the seats were really comfy and plenty of leg room which was bonus for us long legged people,only downside to where we were sat was some of the set was out of view and our tickets didn't say anything about restricted view.. So the show started and I wasn't keen at first as there was a lot of sexual innuendo but about 20 minutes in to it I was sold and was sobbing my eyes out by the interval..the 2nd half started and i was still sobbing by the end of the show I was an emotional mess.. Was great to see an adult piece of theatre and the cast were fantastic. I throughly enjoyed Miss Saigon infact I loved it,a great piece of theatre that is a must see and I can't wait to book my next trip. Just a heads up on a couple of things,i wouldn't recommend this for younger people as its a bit sexual at the beginning..also there is part in the first half where there is some flashing lights I did not see any signs mention this in the theatre anywhere. but those are the only things that need mentioning!